When the Academy first expanded the best picture category in 2009, a key reason was to give more populist fare like the 2008-snubbed “The Dark Knight” a shot at top honors, in part to boost telecast ratings. But other than animated fare, that strategy hasn’t really brought any plex-filling crowdpleasers to the top-film category, and this year’s pic nominees, while respectable B.O. draws, were nowhere near blockbuster-sized. So far, “Avatar” is the highest-grossing film ever to make Oscar’s big dance. The film’s nomination was timed perfectly as it came during the first year of the best-pic expansion. But “Avatar” likely would have made it even into a five-nominee race, given that it received PGA and DGA nominations, as well as winning picture-drama at the Golden Globes. Unlike “Avatar,” however, the odds of either Disney-Pixar’s “Up” or “Toy Story 3” (nominated in 2009 and 2010, respectively) making a shorter list of nominees were far dimmer. Only three toons, including Disney’s “Beauty and the Beast” in 1991, have ever vied for the Acad’s top prize. Arguably, only three live-action blockbusters — “District 9” and “The Blind Side” (both nommed in 2009) and “The Help” (2011) — have benefited from the expanded best-pic race. Warner Bros.’ 2010 summer tentpole “Inception” likely figured in the top half of the 10 nominees that year. Still, none of those films really fit the commercial mold that the Academy set out to help. 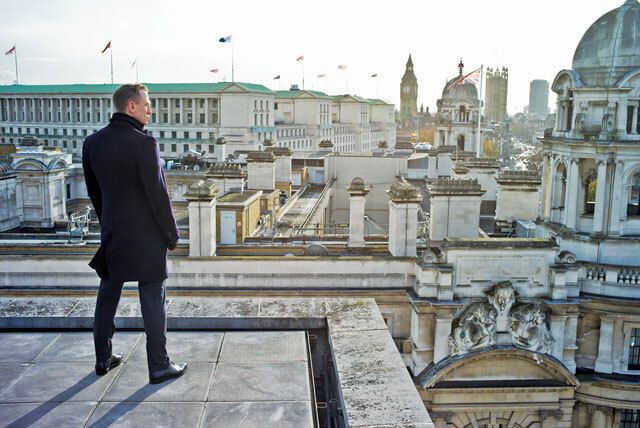 The biggest blockbuster omission on this year’s Oscar shortlist, Sony-MGM’s $1 billion grosser “Skyfall,” received five total Oscar noms, and a PGA nomination, but failed to land a spot in the Oscar pic race. The Academy balked at recognizing 2012’s second-highest grossing pic, “The Dark Knight Rises,” completely. Among this year’s pic nominees, Fox’s “Life of Pi” is the biggest grosser worldwide, with $324 million to date, followed by Universal’s “Les Miserables,” which is on track to cross the $200 million global mark this weekend. Domestically, Disney-DreamWorks’ “Lincoln,” which scored the most overall noms (12), also stands as the highest-grossing best-pic contender, with $145 million. Pic launches overseas starting next week via Fox. “Les Mis” continues to climb north of $100 million Stateside, as does Weinstein’s “Django Unchained,” each rivaling “Argo,” at $110 million domestically. Other than populist pics, the expanded pic race also had the potential to benefit foreign language films and documentaries. And while docus have yet to crack the best-pic field, Michael Haneke’s Cannes Palme d’Or winner “Amour” became the first independently distributed foreign-language pic to vie for top honors since “Crouching Tiger, Hidden Dragon” in 2000. Warner’s “Letters from Iwo Jima” scored a pic nod in 2006.